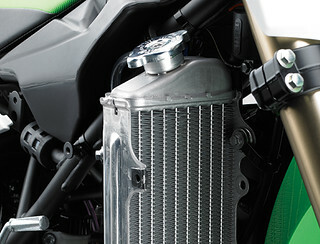 The slim bodywork and racy graphics ensure the KX85-II will look good in the winners’ circle. Black alumite rims, black fork guards, black rear spring and green annodised finish on the suspension adjusters further strengthen their factory image. A fit for everyone. 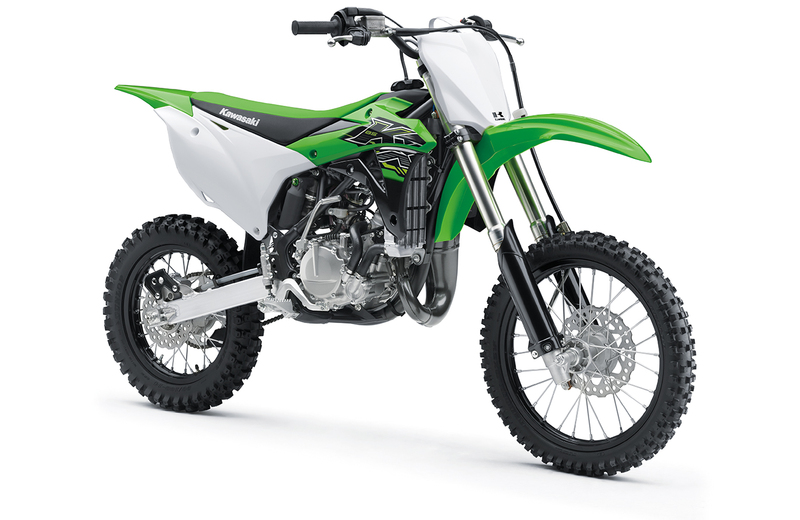 Riders can choose from two available sizes: the KX85-II feature 19” front and 16” rear wheels; the KX85 is equipped with a 17” front and 14” rear. 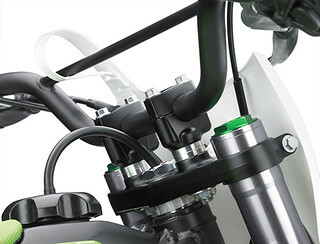 Accessory small wheels from the KX85 can be fitted to the KX85-II.